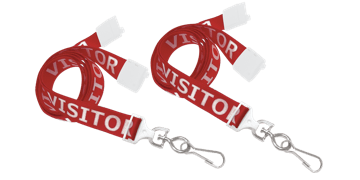 Identify and manage visitors with pre-printed visitor lanyards. These lanyards feature a safety break-away tab that will easily open to ensure guest safety. Attach visitor ID cards with the swivel hook attachment.